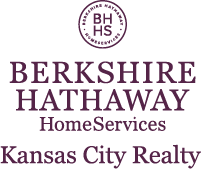 Berkshire Hathaway HomeServices Kansas City Realty is led by well-respected, industry veteran, Jim Manning. As President, Jim is focused on the ongoing success of the Lenexa, KS and Blue Springs, MO branch offices and more than seventy real estate professionals. He is keenly focused on growing the business in the Kansas City Metro area with the addition of offices and agents. Jim has helped shape a hardworking and dedicated team of real estate professionals that serve the entire Kansas City Metro. Jim brings with him more than 38 years of real estate experience. Prior to joining Berkshire Hathaway HomeServices Kansas City Realty, he co-owned and operated ERA Manning and Associates based in Lenexa, KS.